Above postcard, 1950. Kindly sent by Rory Kehoe. Also showing the "Old House at Home" and "Castle Inn." Above image from Google, July 2009. Above sign left, August 1985, signs right and top July 2012. Above sign, 2017, kindly sent by June Etherington. 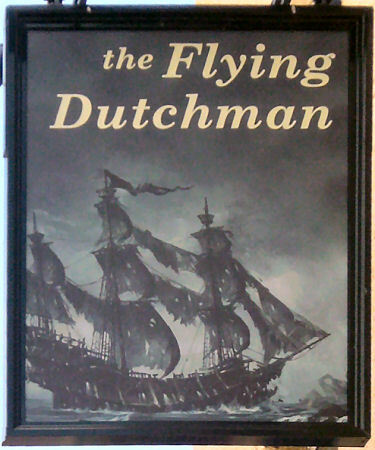 The "Flying Dutchman" is probably the most well-known of all ghost ships. a vessel captained by Hendrick Vanderdecken, sail in 1680 from Amsterdam to Batavia, a port in Dutch East India. According to the legend, the ship encountered a severe storm as is was rounding the Cape of Good Hope. Vanderdecken ignored the dangers of the storm -- thought by the crew to be a warning from God -- and pressed on. 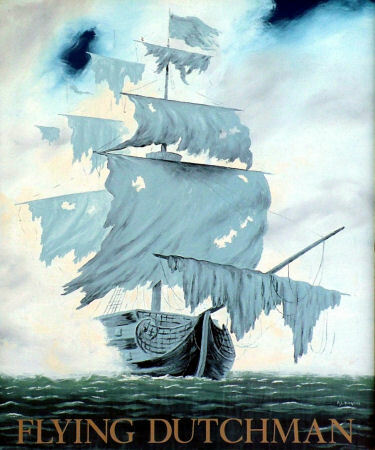 Battered by the tempest, the ship foundered, sending all aboard to their deaths. As punishment, they say, Vanderdecken and his ship were doomed to ply the waters near the Cape for eternity. Above info from "Ghosts at Sea." 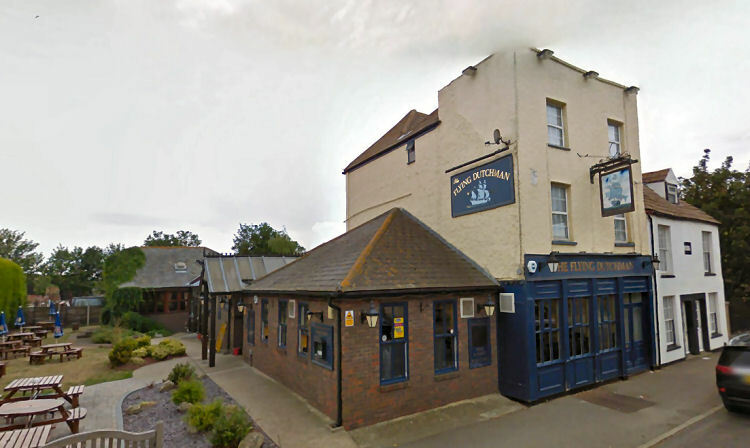 Originally called the "Ordnance Arms" and the building is late 18th or early 19th century. Date for change of name as yet unknown. From the http://www.kentonline.co.uk. By John Nurden. 27 March 2017. 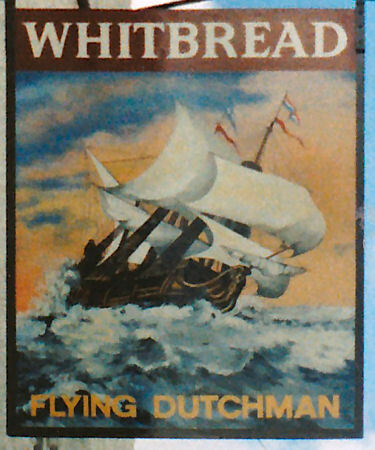 Sheppey: New look for Flying Dutchman in Queenborough. A landlord has converted part of his pub into a replica of the HMS Victory in honour of the Island’s links to Vice Admiral Horatio Nelson. 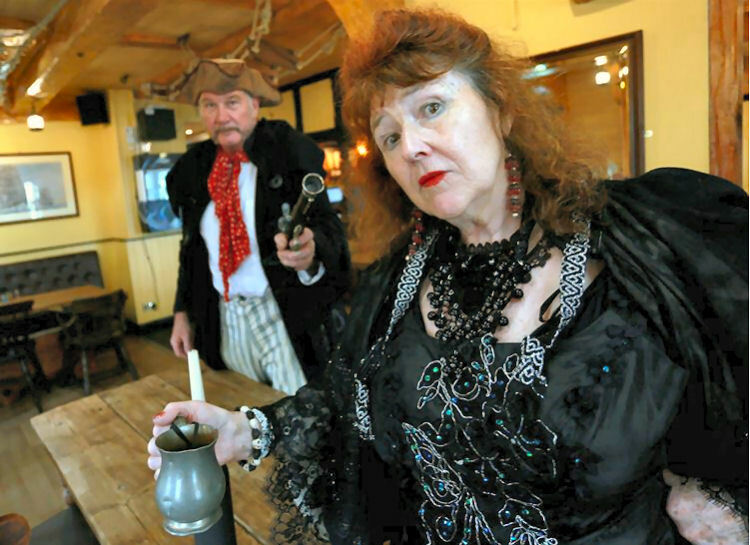 And one of the first events at the new-look "Flying Dutchman" will be a murder mystery evening, where Dining Room Detectives will try to unravel the mystery of who drank Nelson’s blood. Landlord Kevin Burgess has spent the past four months changing the Queenborough pub’s front bar into the nautical tribute along with builder Lee Rough. 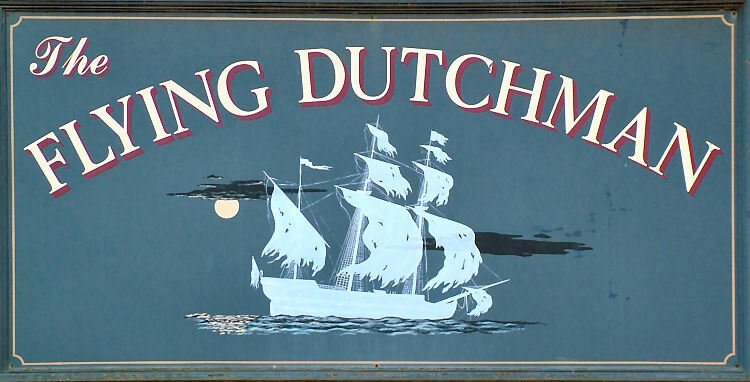 A murder mystery is going to be performed at the "Flying Dutchman" pub in Queenborough. The preserved body of the Battle of Trafalgar hero was brought to Sheerness in a barrel of brandy. But according to legend both the barrel and the brandy then went missing. Chris Reed, who will play Nelson’s mistress, the dishevelled Lady Hamilton in the murder mystery, said: “There is an old sea shanty called A Drop of Nelson’s Blood Wouldn’t Do You Any Harm. Mr Burgess, 57, said: “For years the pub had looked a little tired and with other carveries opening we needed to up our game. 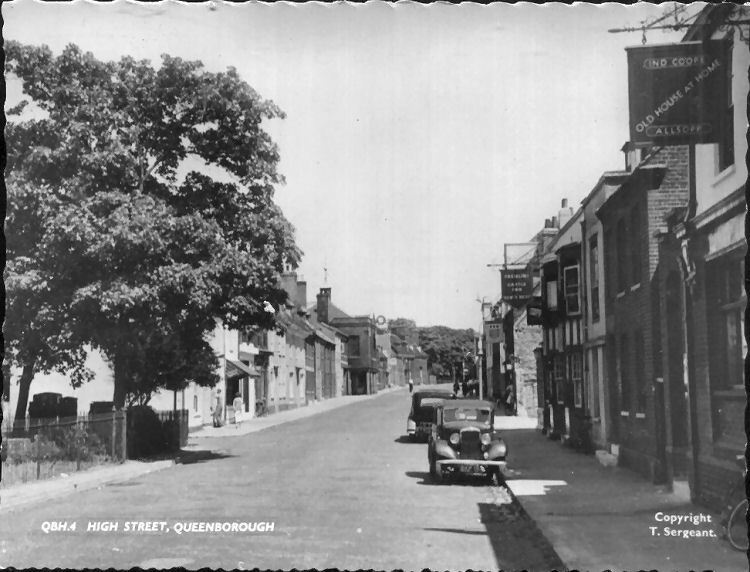 "Queenborough is steeped in history with strong ties to Lord Nelson and the Dutch invasion so we have given the pub a nautical flavour and a bit of character to reflect its setting. “The front bar is now based on a 19th century man o’ war. 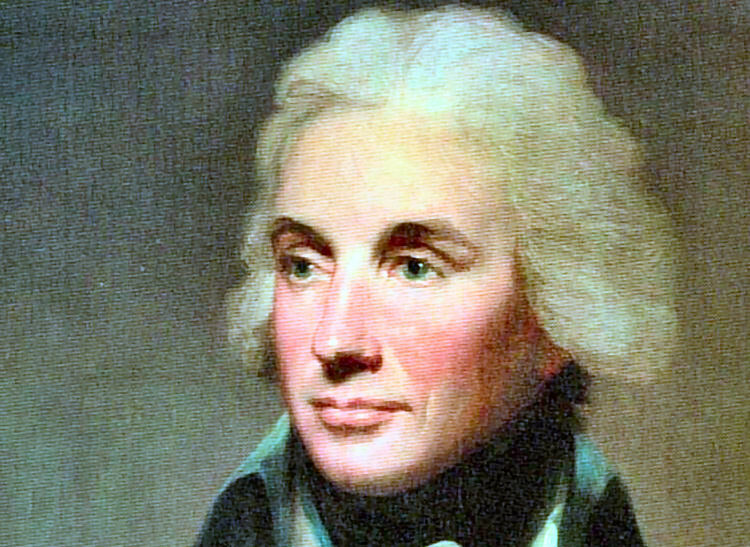 Lord Nelson is one of Britain's greatest admirals. Most of the work was carried out by Mr Rough, one half of a Blues Brothers tribute act, who also sails his own replica pirate ship. He has built tables from scratch, inserted old oak beams and pulley blocks, added huge hand-sewn sail cloths and decorated the bar with hemp rope made at Chatham Dockyard. Tickets for the opening night on Friday March 31 cost £20 and include a meal. Vice Admiral Horatio Nelson, 1st Viscount Nelson, 1st Duke of Bronté KB, was a British flag officer in the Royal Navy who was born in Norfolk on September 29, 1758. 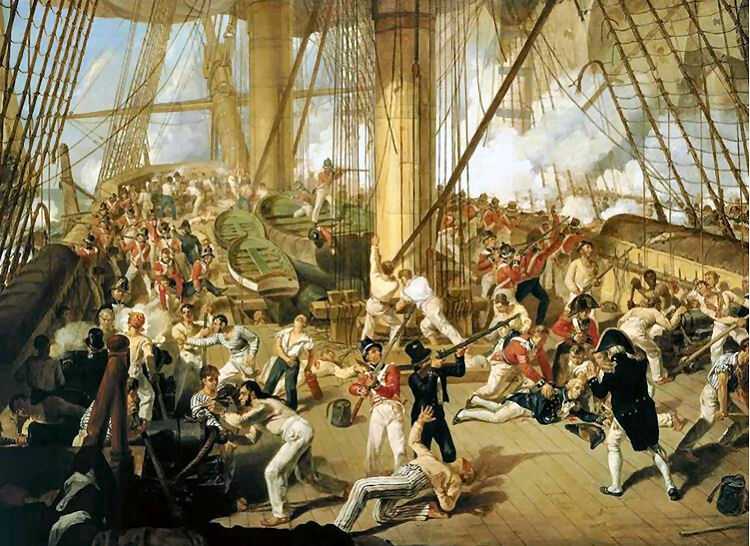 A painting of Lord Nelson being shot on the quarterdeck of HMS Victory. He died after being shot during the Battle of Trafalgar on October 21, 1805. He was 47. After a two-month voyage his body, pickled in a cask of brandy mixed with camphor and myrrh and lashed to the Victory’s mainmast, was unloaded at The Nore off Sheerness and taken to Greenwich where it was placed in a lead coffin. During the Battle of Trafalgar Nelson famously flew the flag signal “England expects that every man will do his duty.” Although married to Frances “Fanny” Nisbet, his mistress was Lady Emma Hamilton. Nelson was noted for inspirational leadership, superb grasp of strategy and unconventional tactics particularly during the Napoleonic Wars. He was wounded several times, losing his right arm at Santa Cruz de Tenerife and an eye in Corsica.